Your all-in-one tool for email tracking, scheduling, and auto follow-up. 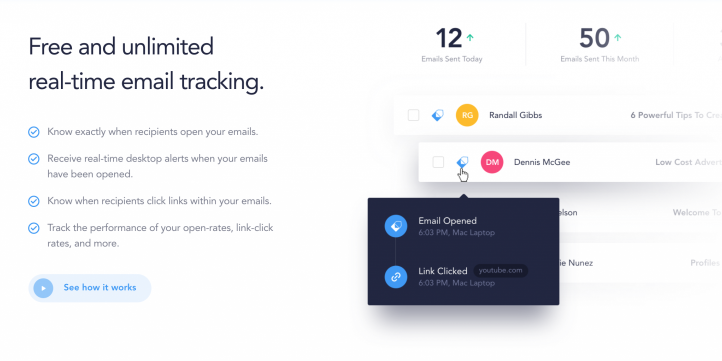 Free and unlimited real-time email tracking. 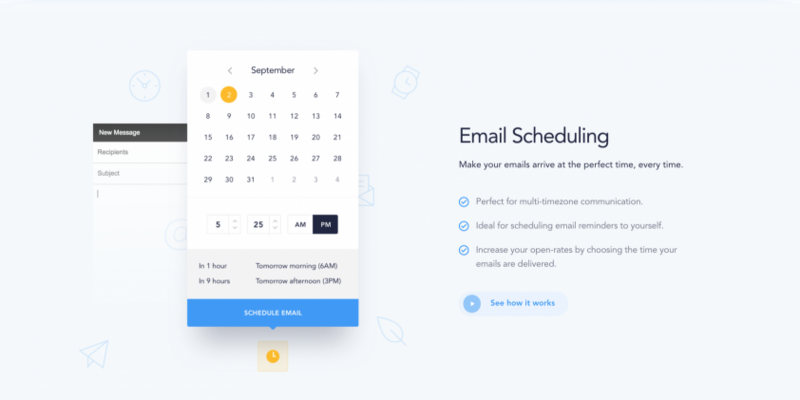 Email Scheduling: Make your emails arrive at the perfect time, every time. 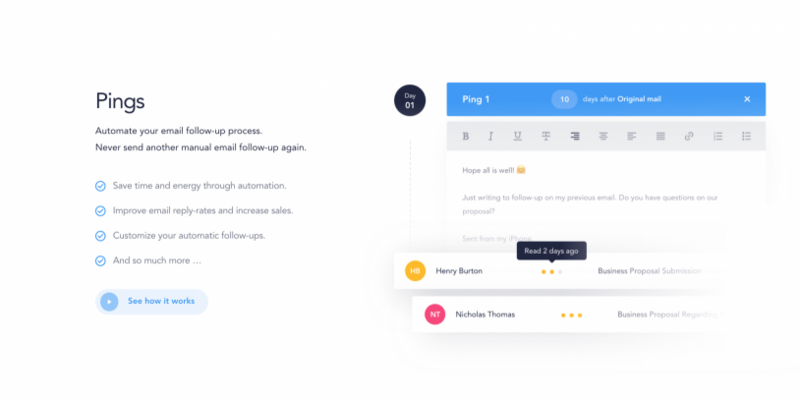 Pings: Automate your email follow-up process. Never send another manual email follow-up again. 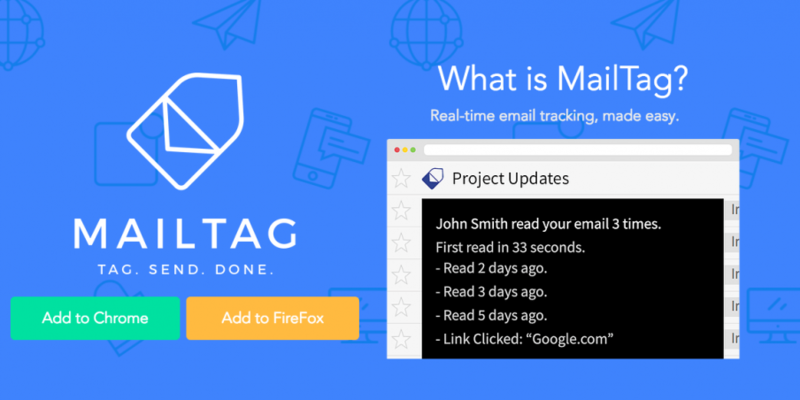 **Simply add the MailTag extension to your browser and you're ready to go.